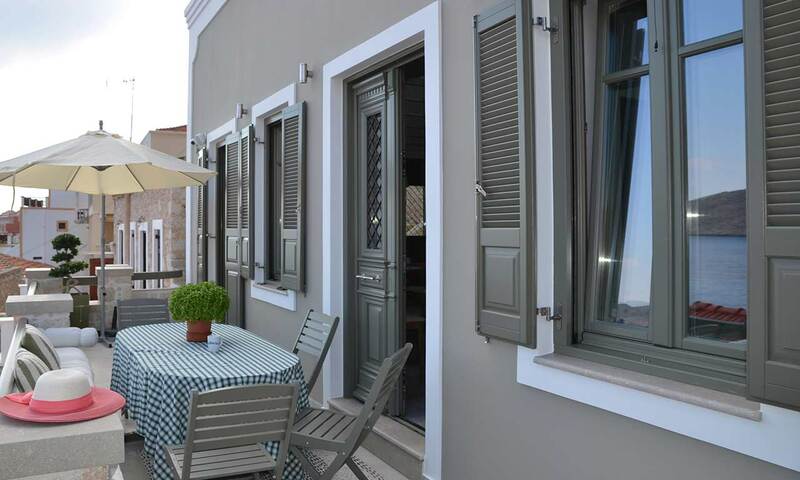 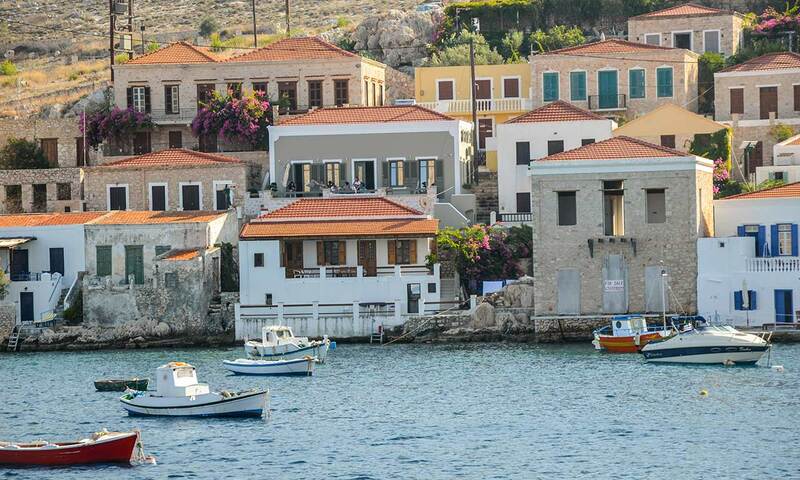 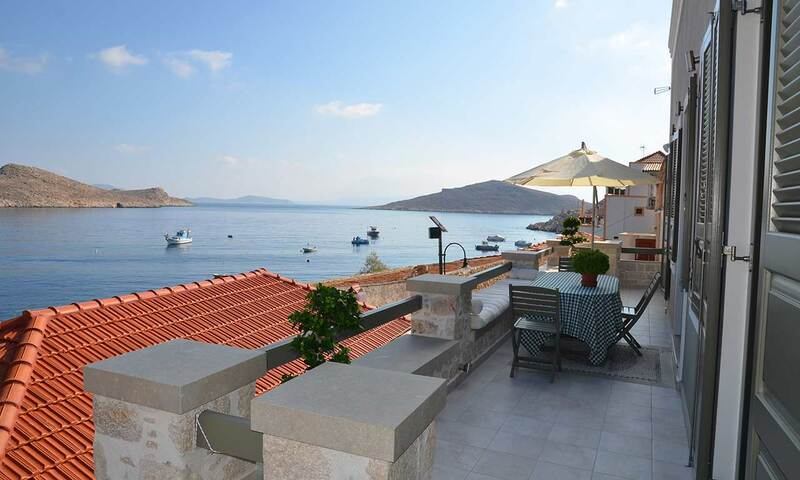 Luxury Villa located in Halki Island, Greece. 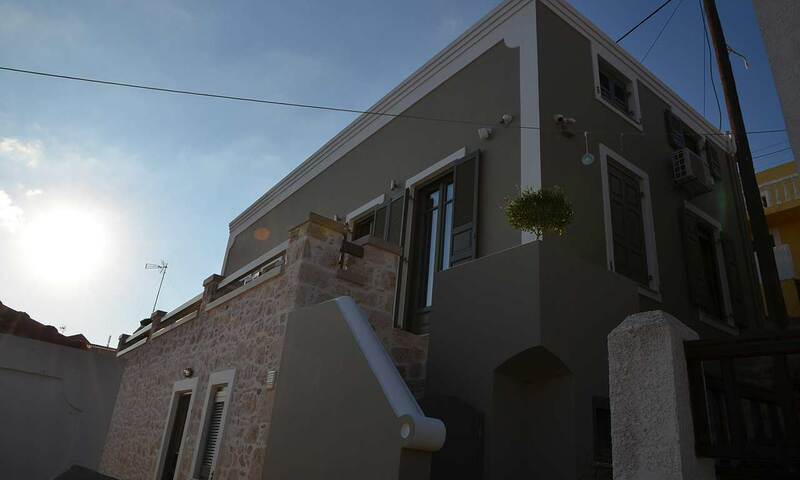 Orama house is a luxury villa located in the beautiful island of Chalki, at Dodecanese. 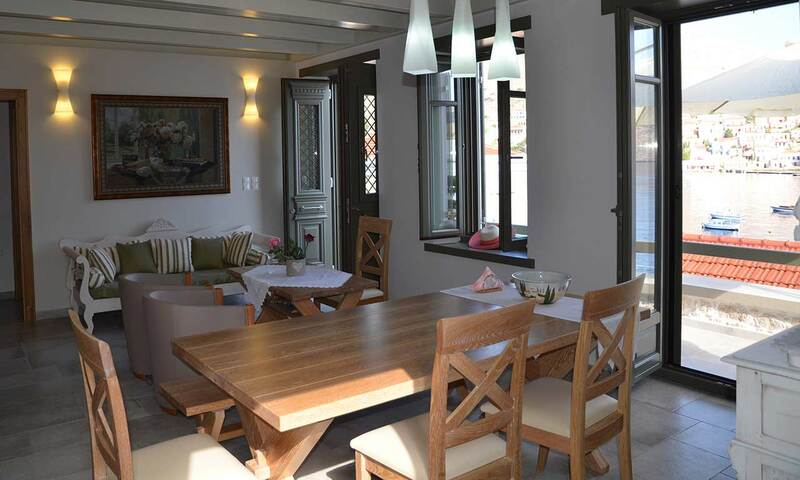 The size of the house is 88 square meters and can accommodate up to 6 guests. 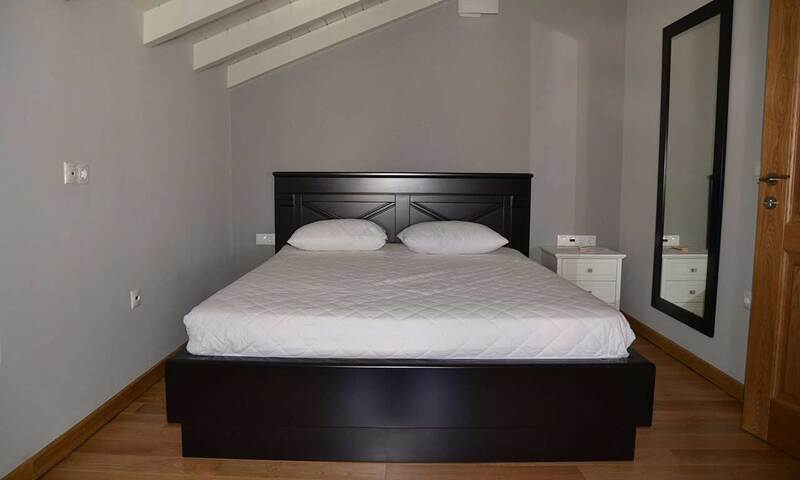 There are 3 bedrooms in the house. 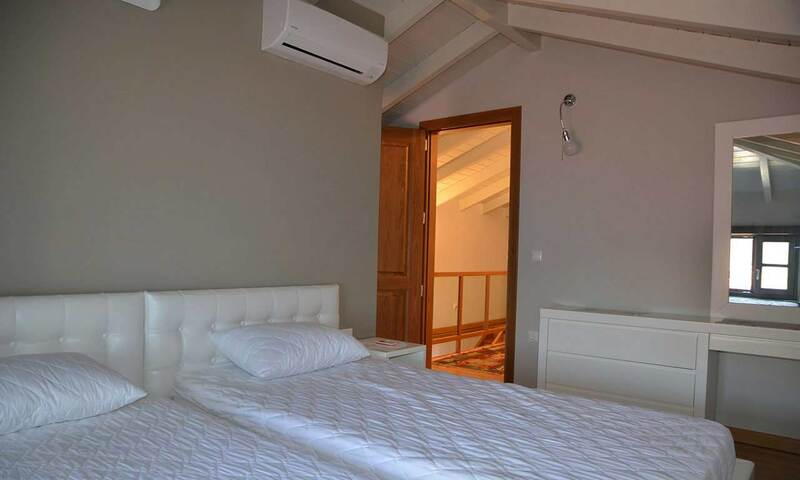 The first bedroom is located in the ground floor next to the living room and next to the fully equipped kitchen. 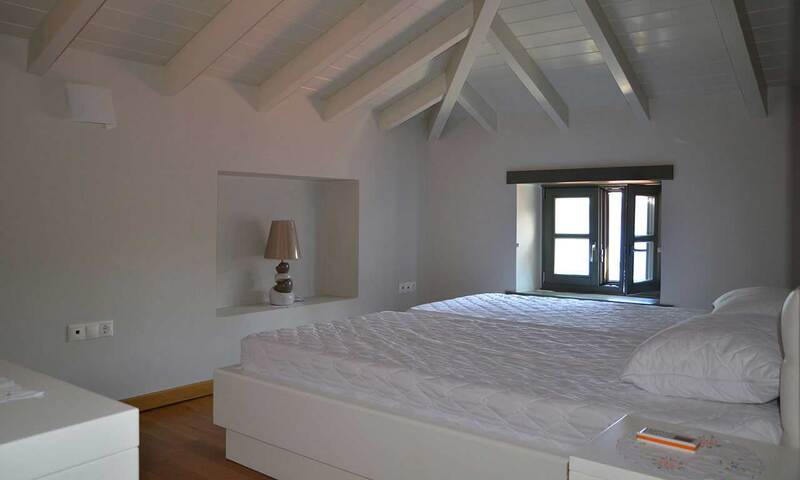 On the top floor there are the other two bedrooms. 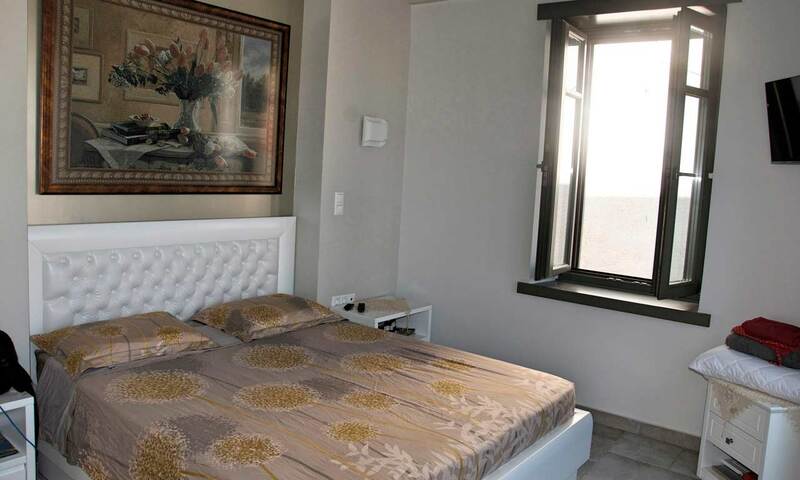 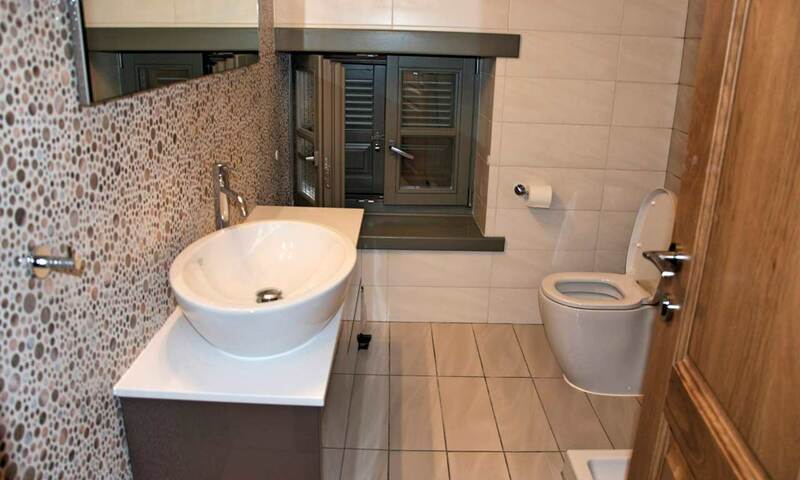 Each bedroom has its own bathroom and can accommodate up to two persons. 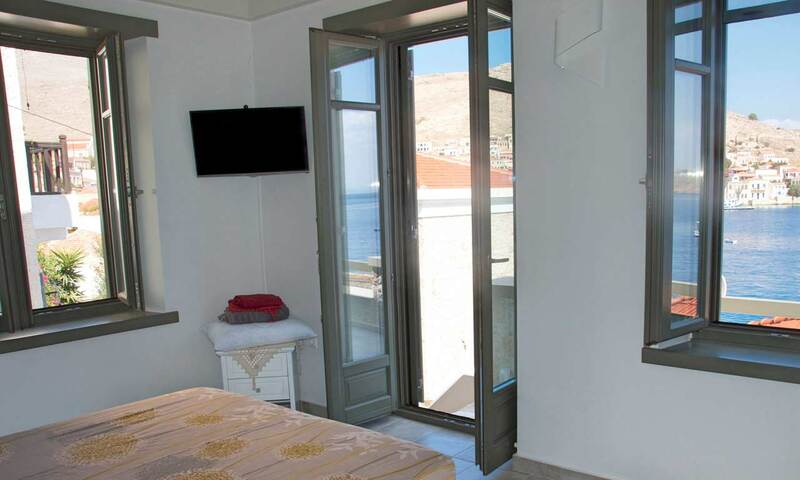 One of the best spots of Orama house is the balcony where someone can relax and enjoy the amazing sunrise of Chalki island. 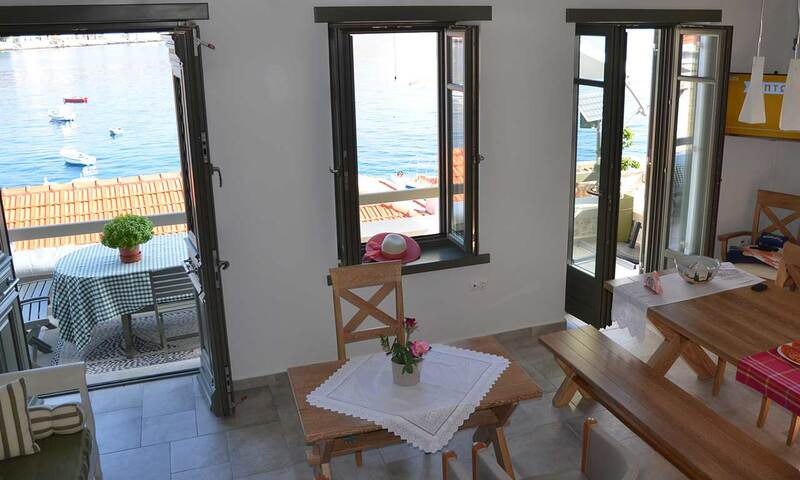 The house is just 11 meters from the sea with a view in the port of the island. 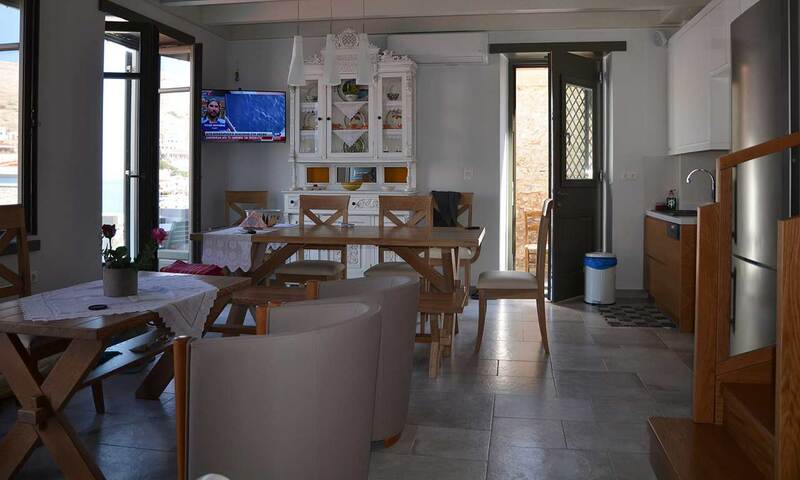 The house was rebuild in 2014 and it is fully equipped. 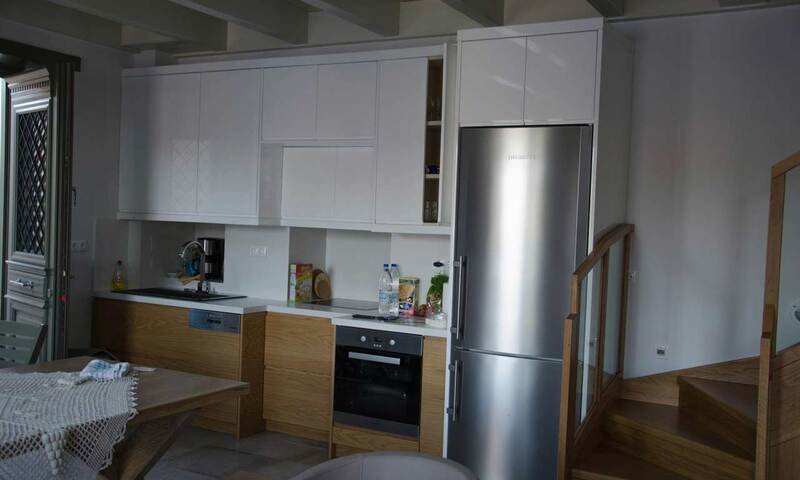 Some of the extra features are: air-condition in each room, wi-fi connection and boiler for warm water. 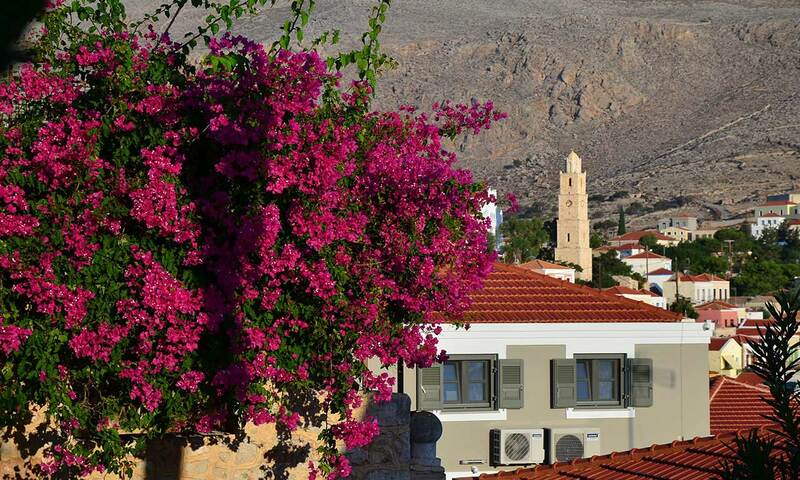 We are willing to offer to our guests high level of services and make your stay in our luxury villa an unforgettable experience. 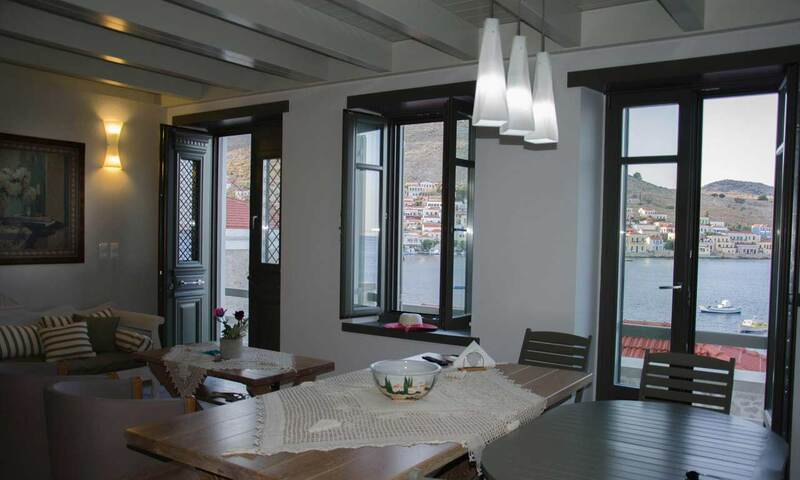 Orama house is a luxurious, newly rebuilded house of Skevos Mougkros. 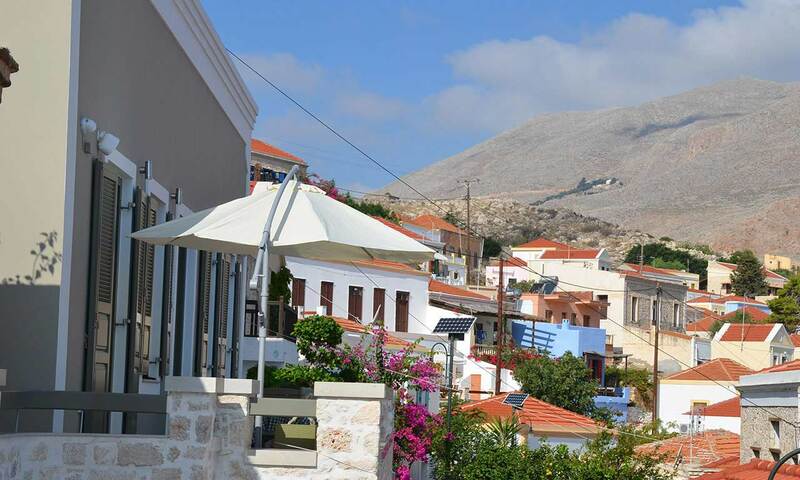 Skevos Mougkros is the owner of one of the most known tourist agents in Greece, "Skevos Travel Agency". 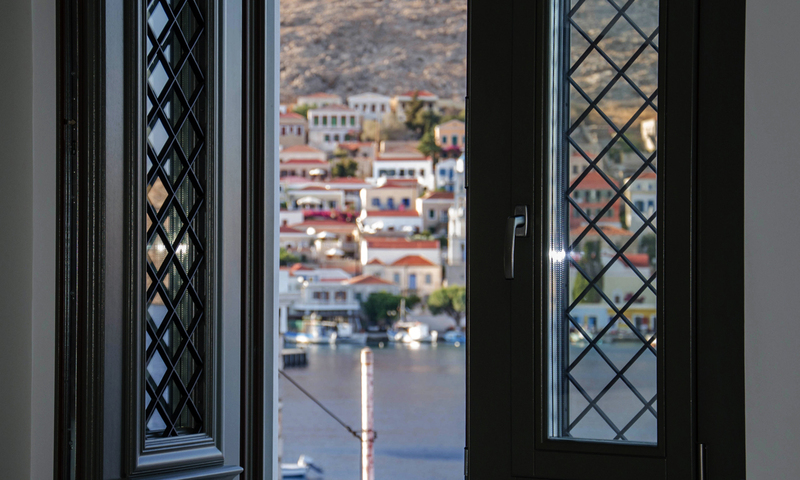 We aim to make your experience in Halki island unique, by offering high quality within our house. 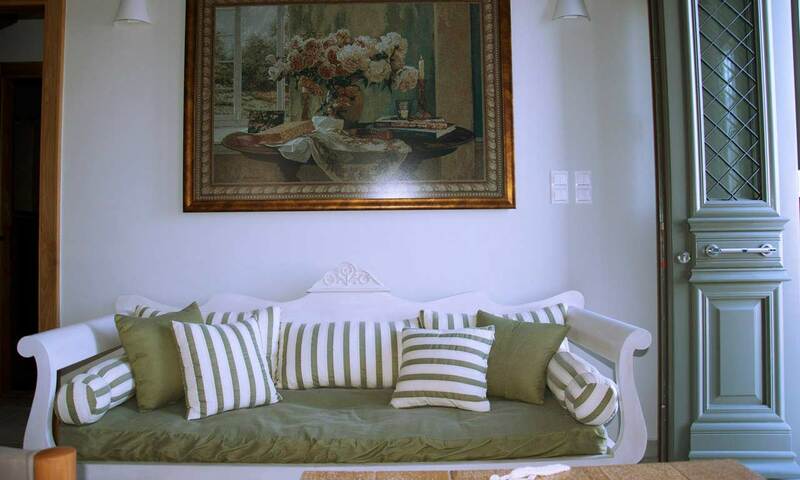 The house has a traditional decoration, combined with the taste and style of the owner.